Albuquerque Beer Scene: Where've I Been All Your Life??? Where've I Been All Your Life??? Man, it's been a few since I last updated, huh? Sorry, but I had to take care of some non-beer related stuff (no jail, not even probation, I promise), and I'm back at the keyboard now. Rejoice. I know I still have plenty of GABF stories to catch you up on, but I first want to let you know of the October 14 "Ultimate Beer Dinner" at Savoy Bar and Grill (10601 Montgomery, between Morris and Juan Tabo), starting at 6:30. "Ultimate" may be a misnomer because I don't see how it can be an "ultimate" beer dinner without me there. I have already promised my pocket change to the NM Brewers Guild Golf Tournament that goes on a few days after the Savoy dinner. And while the price of the beer dinner is a healthy chunk of pocket change at $65 per person (what do you expect, it's Savoy- that place looks fancy from the outside, I've always said), the beer list is quite impressive. And big, ABV-wise. This is the kind of beer dinner you may want to have a designated driver for: Five courses of beer (and food, if you care), starting off with Big Sky's Smoove Cherry (8.75%)! When have you ever had Smoove Cherry at a beer dinner? When have you had Smoove Cherry, period?? I only recently tried it at a rare beer tasting, myself. And you get that at the "reception" part of the dinner, which is where you get to mingle with the hob-nobbers and eat foie gras! La Folie, Old Boardhead (don't know which vintage), Chico Estate (hops and barley all grown and harvested by Sierra Nevada), and Stone Sublimely Self Righteous all follow, along with dishes that complement each beer. Some of these beers are in double digit price territory for 22 oz. bottles (La Folie goes for $15), so the $65 for all these beers together PLUS five gourmet food courses (at least it smells gourmet; I rode my bike by and it smelled really good) is a good deal! Also, these beer dinners help open the eyes of people who normally would only be drinking wine, and help increase the demand for better beer in Albuquerque, which benefits us all! Show your support for the ABQ beer scene and get stuffed as well! 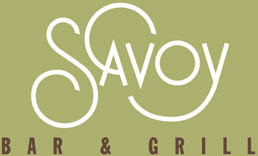 Go to www.Savoyabq.com to secure your seat- there are only 27 seats available! Albuquerque Hopfest: Drinking to Your Health! Tonight's Main Event: The Rock Battles A Monster!